Establishing, maintaining and promoting your unique auction brand online can be challenging - EDGE Lookout can help. Our team of professional designers and producers host and maintain websites for independent auto auctions across the United States. 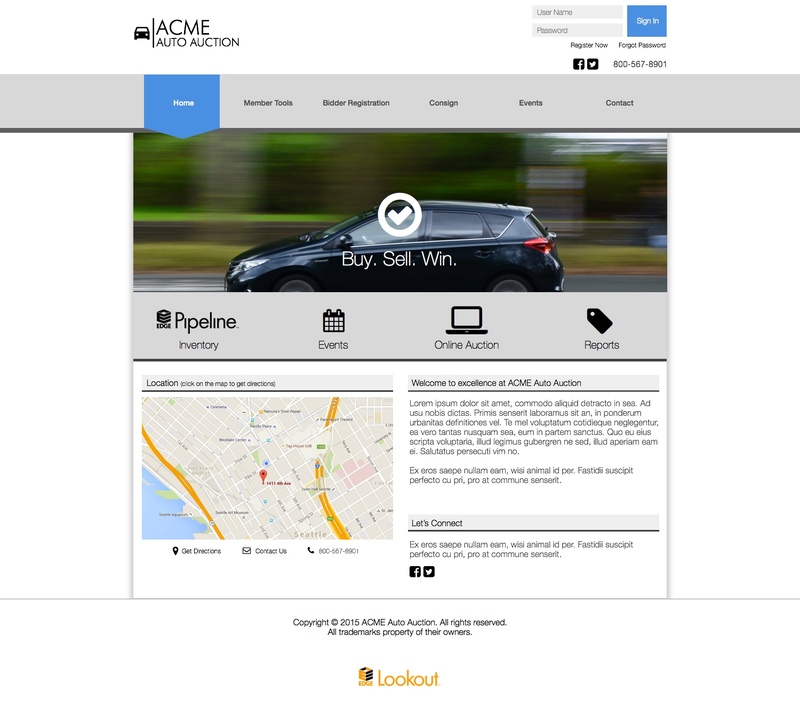 Currently, 32,000 dealers from coast-to-coast rely on auction websites developed by EDGE Lookout to source, purchase and sell vehicles every day. Simply stated, EDGE Lookout harnesses your distinctive auction brand with the entire online marketplace through the power of EDGE Pipeline. Choose from our growing selection of website templates. Imagine your own logos, colors and fonts applied to one of these layouts and harness the power of our dealer tools with EDGE Lookout today. *Custom designed sites / layouts are available at an extra cost determined on a contract basis.